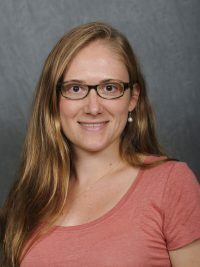 Dr. Shannon-Henderson’s research interests include ancient historiography, especially Tacitus; Greek and Roman religion; cultural memory; and paradoxography, marvels, and miracles in the ancient world. Recent and current projects include Religion and Memory in Tacitus’ Annals, a monograph forthcoming with Oxford University Press’s Oxford Classical Monographs’ series; and an edition, translation, and commentary on the paradoxographical fragments of Phlegon of Tralles, Fragmente der griechischen Historiker Part IV, forthcoming with Brill. Teaching interests include Greek and Roman history, ancient religion, and Latin language and literature, especially prose and historiography. K.E. Shannon. 2018. ‘Livy and Tacitus on Floods: Intertextuality, Prodigies, and Cultural Memory.’ Les historiens grecs et romains: entre sources et modèles, edd. O. Devillers and B.B. Sebastiani. Ausonius Éditions. Pp. 233-246. K.E. Shannon. 2013. ‘Authenticating the Marvellous: Mirabilia in Pliny the Younger, Tacitus, and Suetonius.’ Working Papers on Nervan, Trajanic and Hadrianic Literature 1.9. http://arts.st-andrews.ac.uk/literaryinteractions/?p=573. K.E. Shannon-Henderson. Book-length (100,000 words) edition, translation, and commentary on the paradoxographical fragments of Phlegon of Tralles, Die Fragmente der Griechischen Historiker Part IV, Brill (expected 2018 or 2019).